I finished another pair of knee socks, but don’t start believing I’m knitting non stop at the moment, I started these socks one year ago. 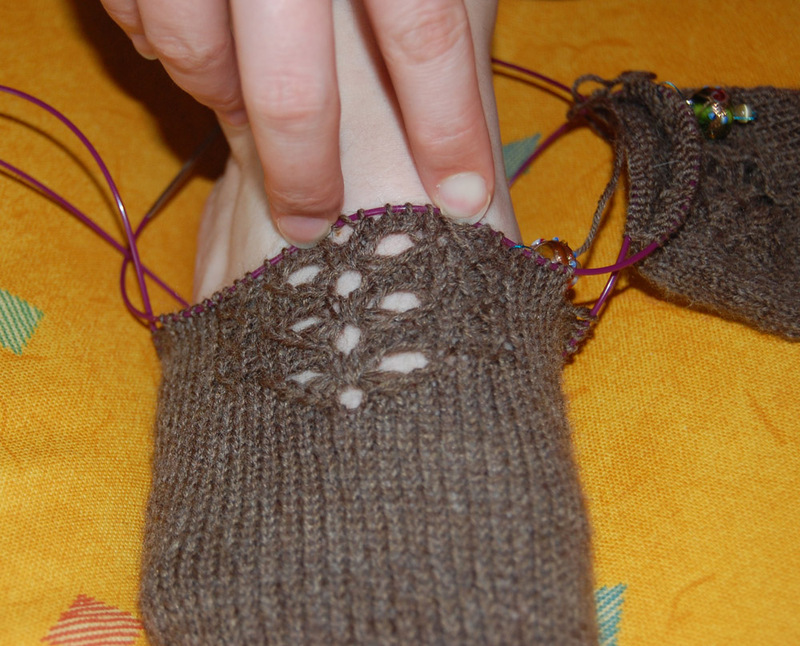 I wanted to reknit the heel back then but somehow missed inspiration I think. 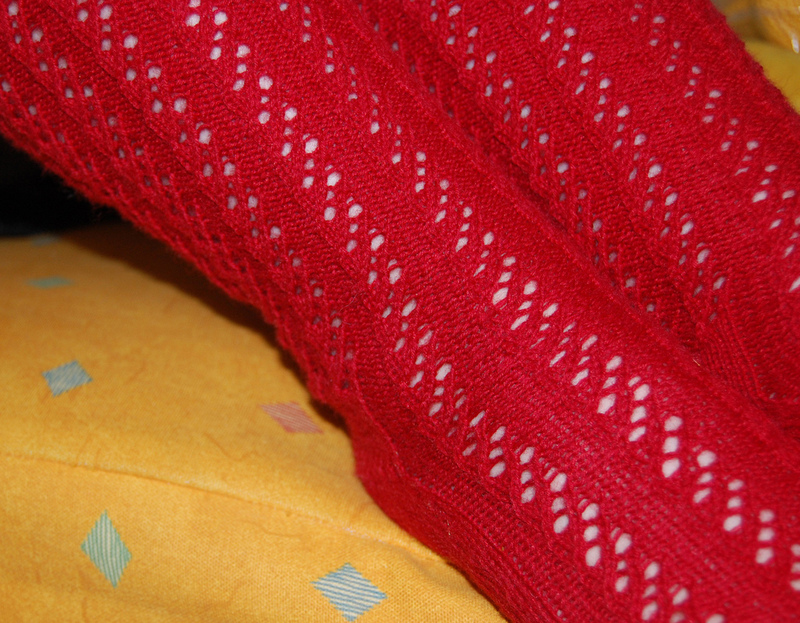 I knitted this sock top down, started with a tubular cast on and added an eye of partridge heel to my short rows, and I finished with anatomical correct decreases, I just love this. The foot turned out a bit too tight at first but wears really well, I think I will stay with this for my next pair. And to speak of my next pair. I casted on for a pair of Betties lace socks a few days ago but feel really uncomfortable about this pattern, I mean it’s easy to memorize and actually easy to make but I can’t stand the way it looks, it might be the yarn, but I don’t see any other color of my stash with this pattern so I’m going to frog this and just keep on movong to the next sock. I have some ideas in mind for my very first own “design”. . .